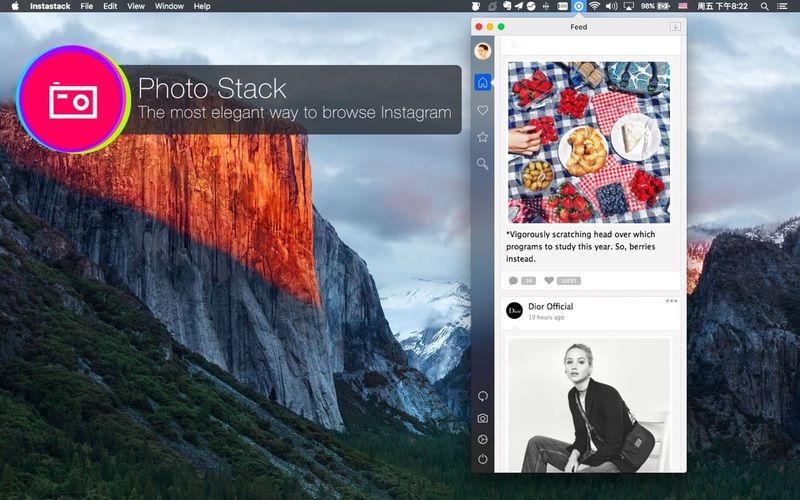 PhotoStack (was Instastack) is an Instagram desktop client. It’s the most elegant way to browse Instagram on the Mac. MenuBar Panel – InstaStack is a new tool to help you to discover Instagram social media network. if you want to connect your instagram account from menubar on your mac , InstaStack is your tool. Browse Photo Feeds – Browse your Instagram feed, photos you’ve uploaded, photos you’ve liked, and popular photos on Instagram. You can also browse user profiles and browse their awesome photos.